I’m at the beach this week with my family, my parents, and my brother. 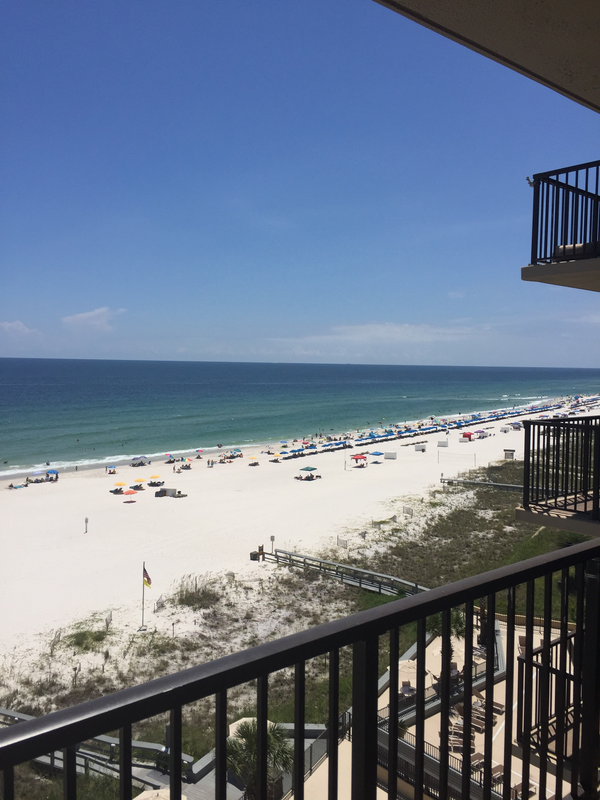 Not only is it a wonderful opportunity for all of us to spend time together, but I’ve always loved the sound of the crashing waves, feeling the ocean breeze, and walking in the white, sugary sand of the Alabama gulf coast. As long as I can remember, I’ve been mesmerized by the wonder of the ocean, and I spend hours looking out at the horizon whenever I’m here. With all that said, however, I always find that I enjoy it for a week or so, but I don’t think I could do it day in and day out for potentially decades. For some of my readers, you’re still relatively new to the acronym FIRE (Financial Independence/Retire Early). Although the two concepts are lumped together in an easy-to-remember way, the premise of each is quite different. Being at the beach is what got me thinking about the “retire early” part. If I was able to achieve this goal, I don’t think it would involve parking myself on the beach. Hell, I don’t even see that happening in “normal” retirement. I’ve read plenty of posts and articles (here is one example) written by, and about, retirees (both early and traditional), and a majority of them agree that retiring to a life of doing nothing is not as enjoyable as it sounds (even as nice as you think that might be when work is driving you crazy!). What are some of the common reasons for not being as happy in retirement as expected? Many mention feelings of depression that result from a dwindling social network or losing a sense of purpose and contribution when they give up their career and daily routine at the office. But it doesn’t mean you have to endure the 9-5 grind forever. The definition of retirement is changing, and very seldom does it have to do with lounging on the beach or playing golf every day. Your retirement years, however many there may be, can be an opportunity to start a new business, volunteer, pick up a new hobby, get involved in the community, work on neglected relationships, or build new friendships. Whatever it is, the key is to remain active. With the “RE” part of FIRE covered, let’s look now at how you’re going to get there. Financial independence is achieved once the income from your investments (passive income) exceeds your expenses, meaning you no longer have to work (active income) to pay the bills. I remind people all the time that the less you spend, the less you need to earn to live comfortably. Spending is something we have a decent amount of control over, yet most people focus too much on the earning part (feeling they need to earn more and more to be comfortable and/or happy). As I began to learn more about FIRE myself, I was focusing my energy on the early retirement piece. More recently, however, I’m focusing more of my thoughts around the financial independence part of FIRE. This article helped put it in perspective for me, and I realized I was putting the cart before the horse. If you haven’t got the FI figured out, you’re not going to get to the RE anyway. In terms of a traditional retirement, some people reading this will say “I have no interest in retiring.” And I hear you – after all, staying active is what keeps us happy and engaged, right? If we follow this thread for a tad bit more, some people might think, “Who cares about financial independence if I’m not going to retire? I’ll be working until I die anyway, so I’ll always have an income.” But consider this: 60% of Americans have to retire sooner than they’d planned. And, with that, we’ve come full circle. The reality is that you may HAVE TO retire early, whether you like it or not. And what if you haven’t done enough saving and investing along the way? If early retirement comes knocking on your door like the grim reaper, wouldn’t you rather be closer to, not farther from, financial independence? And here’s one final angle I’ll leave you with, if you are indeed considering an early retirement, but might be afraid to make the leap. Consider this approach: if you can reduce your expenses and build up your savings and investments, an early retirement might make it easier to transition to a life outside of the 9-5 than if you wait for a traditional retirement because you’ll be less entrenched in your routine. To summarize: financial independence (FI) allows for flexibility – you can walk away from a job you hate sooner than later. And retiring early (RE) gives you opportunity – opportunity to explore a new career, to volunteer, or to sit on the beach if you so desire. Make choices now that will give you both flexibility and opportunity down the road.